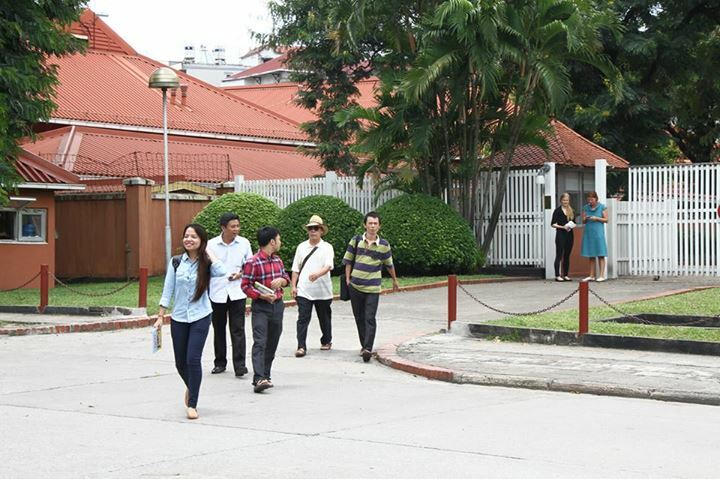 Blogger Nguyen Dinh Ha (in red) after the meeting at Swedish Embassy. On August 12-13, police kept summoning blogger Nguyen Dinh Ha for questioning in relation to his visit to the Swedish Embassy of August 7 to hand in Statement 258, of which he is a signer. First, on August 12, the local police met Nguyen Dinh Ha at his home to summon him for questioning on “some concerned issues.” However, they declined to hand him the warrant of interrogation; instead they just showed it to him before taking it away. According to Ha, this illegitimate action by the police aimed at seeking information and intimidating his family, given that they tried to meet him in the presence of his weak and sick mother. At the subsequent interrogation on August 12 at the police station of Ly Thai To ward (Hoan Kiem district, centre of Hanoi), public security officers, including a man who introduced himself as Le Huu Duc, told Ha they wanted to “make clear” his August 7 visit to the Swedish Embassy. The interrogators asked Ha about “the motive behind the visit”, how Ha contacted with the Embassy, whom he was with, what the bloggers had talked about with the Embassy. Regarding Statement 258, they questioned Ha on the initiators and the signers of the statement, why the bloggers choose to hand it to the Swedish Embassy, and which other embassies they have been in contact with and will be sending the Statement to. Police also asked about the feedback from the Swedish Embassy and “what the Embassy gave the bloggers following the meeting,” etc. Ha told the Network of Vietnamese Bloggers that his consistent message to the police was that “it is an ordinary thing for Vietnamese citizens to visit foreign embassies in Vietnam, based on their rights and on the rights of diplomatic offices in Vietnam.” At the end of the interrogation, Ha asked to have a copy of the minutes, but his request was declined. The next day, August 13, Ha was summoned again by the police “to work on some additional concerned issues,” but he refused to go. 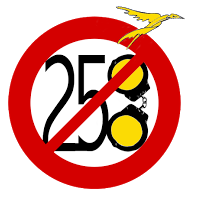 Ha said he is not at all frightened of police harassment, and he is willing to visit other embassies in the coming time to hand them Statement 258. Nguyen Dinh Ha, 25, is a graduate from Hanoi Law University. Những Tù Nhân Lương Tâm Không Cô Đơn. Những tù nhân lương tâm như các bloggers, nhà báo, nhà bất đồng chứng kiến đang nằm trong song sắt lao tù của chính quyền Công Sản Việt Nam! Vì họ đã dám cất lên tiếng nói đấu tranh, phản biện chống lại cái xấu như: Tham Nhũng -- Độc Tài--Phản Dân Chủ! Chống lại các hành vi tội ác với nhân dân, và sự Bành Trướng Xâm Lấn Biển Đông của Trung Cộng. “Đại Hoa--Đại Hán Giặc Tàu 1000 Năm”. Chống lại sự tha hóa bất công đang ngập tràn, phân hóa hủy hại xã hội Việt Nam!! !